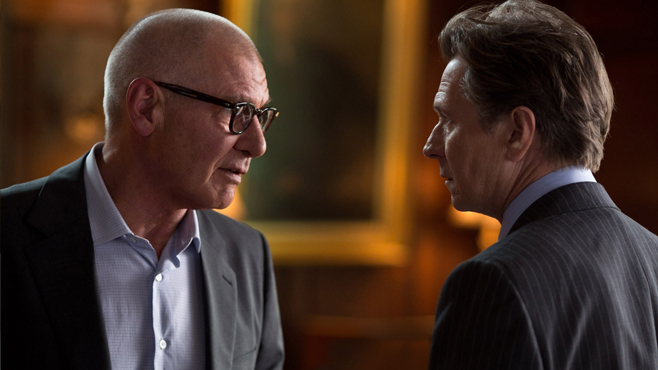 An all-star cast in an old school thriller, Paranoia hits theaters on August 16 and stars Liam Hemsworth as a pawn in a dangerous game between billionaires Harrison Ford and Gary Oldman. The corporate espionage thriller co-stars Amber Heard and Josh Holloway, and comes courtesy of Robert Luketic (21) and novelist Joseph Finder, whose work was previously adapted to the screen in the 2003 murder mystery High Crimes, starring Morgan Freeman and Ashley Judd. We've got a CraveOnline Exclusive premiere of the newest TV spot for Paranoia right here. Follow Paranoia on Twitter at @ParanoiaMovie and the film's official Facebook page!